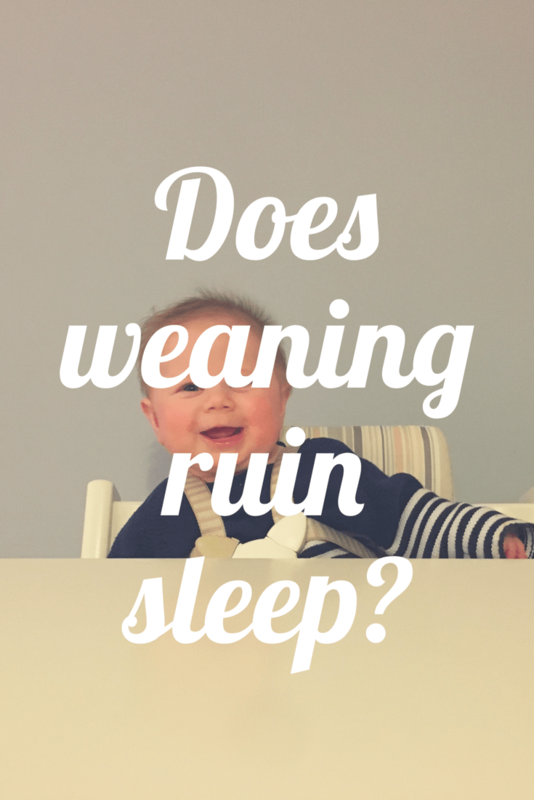 Does weaning ruin sleep? I only ask because it’s been a total nightmare getting Little M to sleep since she’s started weaning. When she turned six months, we had a nice little routine going. Bath at 5:30pm, then a story, some milk and bed. She’d be asleep by half past seven, would sleep for maybe an hour or two, then wake for some more milk before going down for the night. Generally, she’d then wake up at around 6:30am, give or take half an hour. Lovely! Not since weaning. I’m really proud of Little M for all of the different foods she’s eating. She seems to enjoy everything that she tries and is starting to try feeding herself and drinking using her sippy cup. But by Jove, weaning is really playing havoc with her sleep. Now that we’re having dinner together at 5:30pm, bathtime is pushed back to around 7pm. Little M will invariably fall asleep on us within an hour after having some milk, but she’s just not going down. She then ends up wide awake and doesn’t go to sleep for the night until at least 11:30pm. The other night it was 1am! So painful. She then gets her sleep in by sleeping the whole morning. So we somehow need to shift this time back so that when she falls asleep after her bath, that’s it for the night. I’m just not sure how we’re going to achieve it! Hubby is adamant that she’s not getting enough naps in, but she sleeps most of the morning and then has a nap at around 2:30pm, usually for about an hour. I’m wondering if I need to stop her from sleeping so long in the morning. Any hints and tips welcome, as we’d really love our evenings back! "Meet the Parents – Advice for new mummies and daddies from Katy Gibson"
"Meet the Parents – Advice for New Mummies and Daddies from Mrs Magovern"
It may just be her body adjusting to the different foods. I know that if some foods don’t agree with me it gets me too uncomfortable to sleep. I’d just ride it out and play it by ear. You’ll get your evenings back before you know it. Thank you. Let’s hope so!